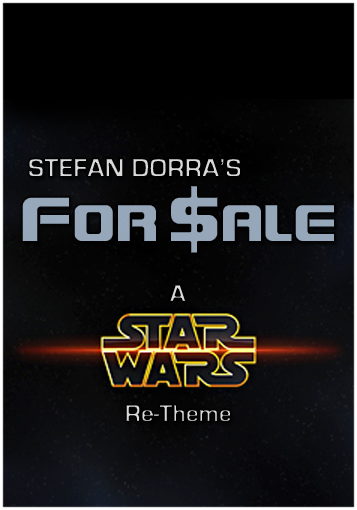 "For Sale, Star Wars Edition" is a BRPG digital game conversion and complete re-theme of the original "For Sale" card game, by Stefan Dorra (currently published by Gryphon Games). 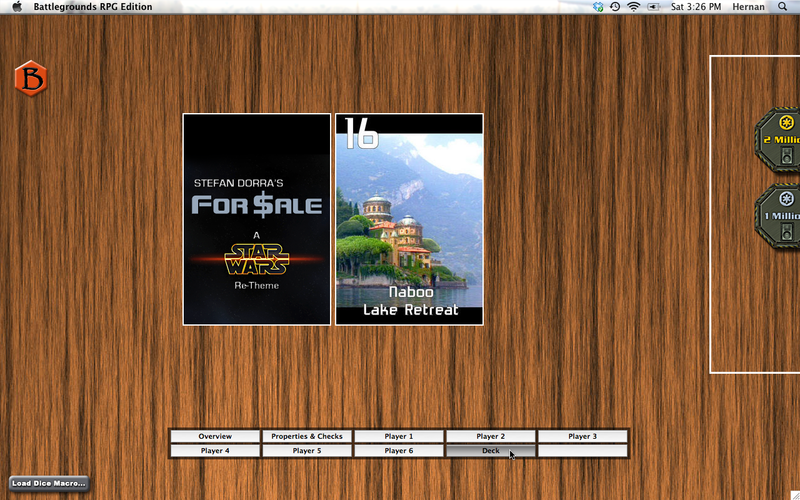 It is played using the rules from "For Sale" (an abridged set of rules is included with this download). 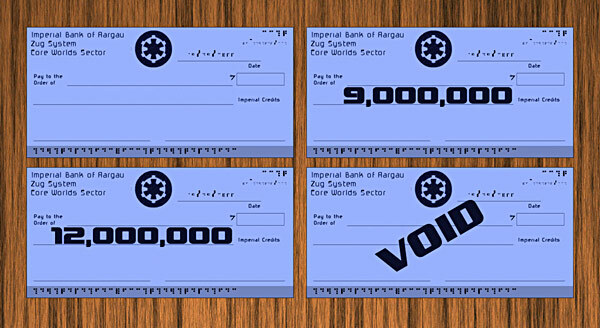 "For Sale, Star Wars Edition" changes the game from one of buying and selling houses on modern-day Earth to one of buying and selling properties from the Star Wars movies, and it does so without changing (or adding) any game rules. The [urlx=http://www.boardgamegeek.com/filepage/21835/swforsalechecks-zip]artwork[/urlx] used in this conversion was created by David Thiel (a BGG user). 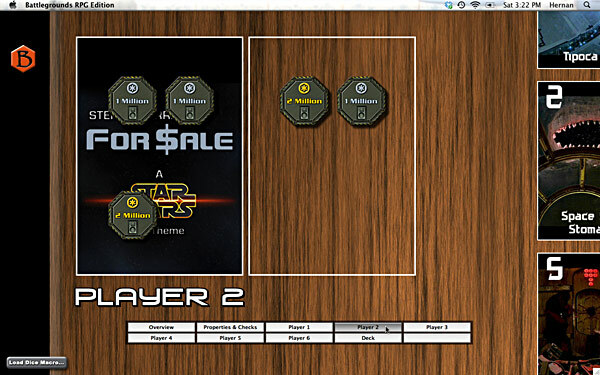 "For Sale, Star Wars Edition" is a simple, fast-playing auction/bidding game. The original "For Sale" is considered one of the finest auction/bidding games around, and has a devoted following of fans. Players are continually forced to make a multitude of difficult decisions during play. 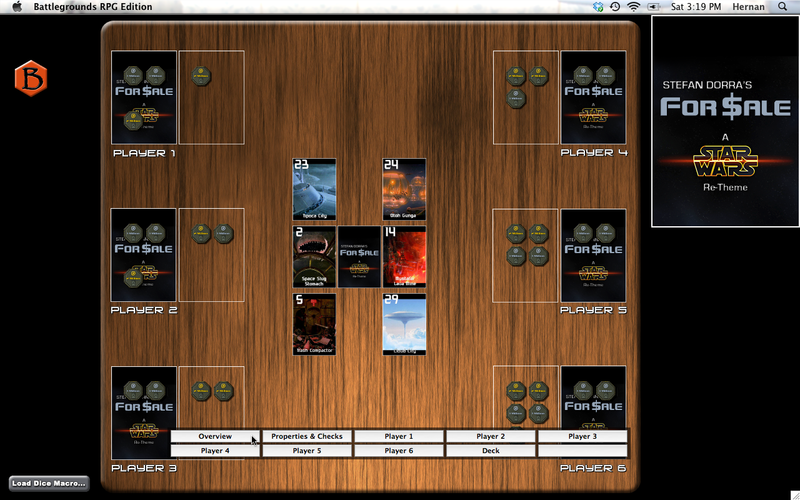 The auctions allow for tactics and bluffing, and require careful assessment of your opponents. The above download contains everything needed to play the game if you already have at least one GM Client license (v1.6i or higher). For multiplayer games, the extra players will need a Player Client or a GM Client. A player can also use the free BRPG Demo if the person hosting the game has a Floating License for them to use. 1) An internet connection is required to play this game conversion. 2) This free game conversion differs from other game conversions I've done in that it may not always remain available for download, and even if you already downloaded it, it may cease to work. There is a "kill switch" in place just in case the game designer or publisher has a problem with this game conversion (not very likely, since this is a total re-theme with all-new artwork, and I am not including the original game rules). By the way, if you're interested in playing "For Sale (SWE)" and are looking for opponents, please look here. "Fantastic little game that is ridiculously easy to learn and very quick to play." "One of the best card games ever. It's fast, fun, and easy to teach. I haven't yet come across anyone who didn't like this game after playing it." "Lightning quick filler that can be explained in three minutes, and packs a tun of fun into 15-20. THIS is the gateway game you have been looking for!" "The best gateway game I own! Works great with 3 up to 6. It's so simple, but so much fun. Highly recommended to anyone trying to introduce someone to games." "The combination of open bidding for the properties and then blind bidding for the checks is brilliant." "The King of all fillers. So simple, yet so brilliant... and you always want to play it again, right away." "Everybody I've ever introduced to this game -- from age 5 to age 75 -- has loved it." "The pinnacle of gateway filler games." "The golden standard by which all fillers should be judged. Absolutely perfect." "Plays extremely quickly (15-20 minutes), really easy to teach and understand, and offers tough and interesting tactical decisions with bluffing along the way. Above all, this game is fun! The perfect filler, should be in every gamer's collection." Here are some screenshots of what the game looks like in Battlegrounds. Click on the images to view them at full size. I fixed the four image links in the prior post. I can't believe no one mentioned that they were broken links, since they've been that way for about 8 months.